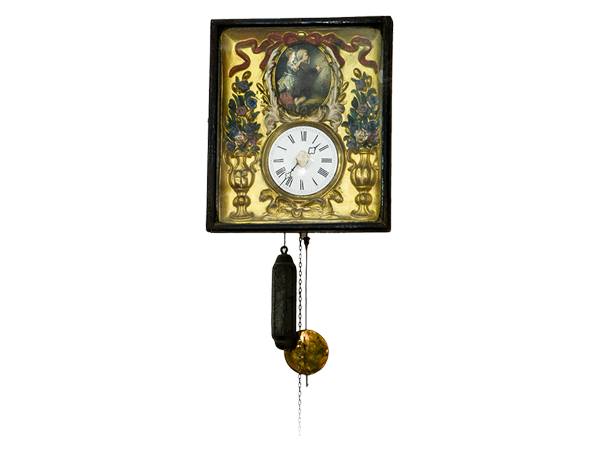 The wall clock in the glassed box has a painted dial, pendulum and weight, made in alt deutsch style. The gilded floral details in relief and painted sentimetnal scenes are quite in line with the taste of the suburban middle where such items were very popular and massively used. Furniture in the so-called Alt Deutch style was very popular with middle wealthy bourgeois class and the enriched rural population from the vicinity of large cities. 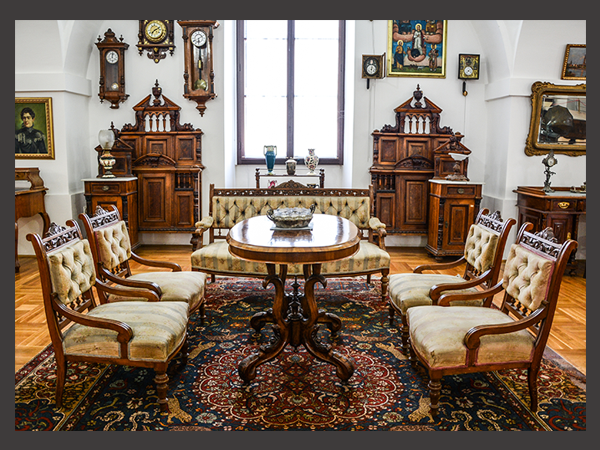 It is a style that has spread from Germany in the second half of the 19th century as a historicist copy of the German Renaissance furniture, and was produced in Vojvodina until the third decade of the 20th century. It was drafted typicaly, with hand-made ​​details and was much cheaper than the classicaly drafted furniture. The furniture exposed here has the usual form; Parlour furniture consists of sofa, 4 chairs and a table, a bedroom consists of a pair of beds, cabinets and closets, as well as "vaštiš" - sink with a marble slab. Decorative cover, which had once belonged to the Moc family of Novi Sad, is a work by Dragutin Inkiostri Medenjak, the most important representative the Secession movement in Serbian fine and applied art. 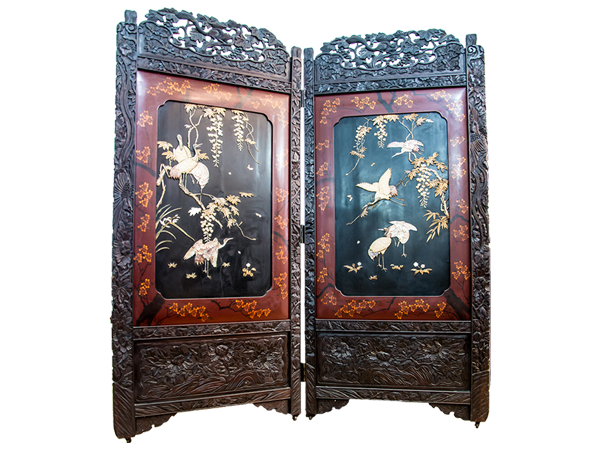 Combining international Art Nouveau in wood carving and folk motifs in woven canvas, he created a highly original piece of furniture, very popular in the civil houses. Part of the permanent exhibition of the City Museum of Novi Sad, under the supervision of the museum advisor, art historian, Ljiljana Lazic. Making an instrument of the violin family may be done in different ways, many of which have changed very little in nearly 500 years since the first violins were made. Some violins, called "bench-made" instruments, are made by a single individual, either a master maker, or an amateur working alone. Several people may participate in the making of a "shop-made" instrument, working under the supervision of a master. Various levels of "trade violin" exist, often mass-produced by workers who each focus on a small part of the overall job, with or without the aid of machinery. 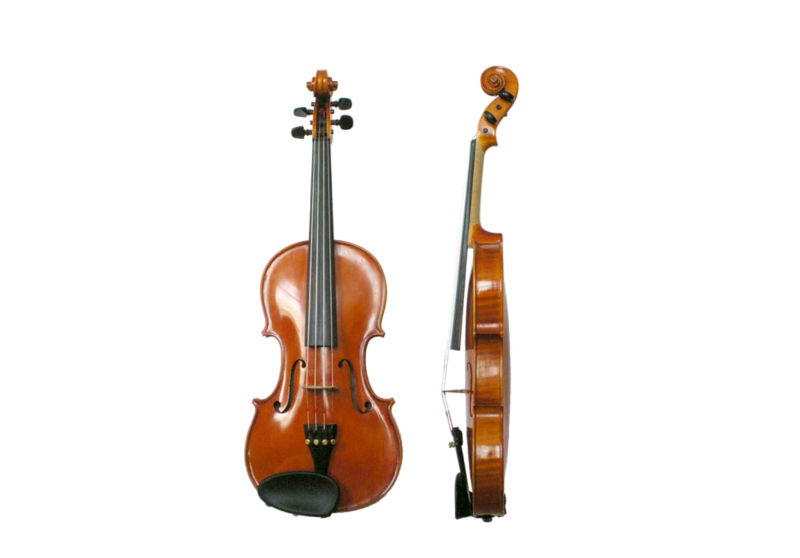 "Setting up" a violin is generally considered to be a separate activity, and may be done many times over the lengthy service life of the instrument. Setup includes fitting and trimming tuning pegs, surfacing the fingerboard, carving the soundpost and bridge, adjusting the string spacing and action height, and other tasks related to putting the finished instrument into playing condition and optimizing its voice and response. Violin maintenance goes on as long as the instrument is to be kept in playing condition, and includes tasks such as replacing strings, positioning the soundpost and bridge, lubricating pegs and fine tuners, resurfacing the fingerboard, attending to the instrument's finish, and restoring or replacing parts of the violin or its accessories which have suffered wear or damage. A small writing desk is manufactured in Japan in the late 19th century as a subject for export to Europe. Carved wooden surface is divided into a series of small drawers and hidden space where the stationery was placed. The box belonged to Novi Sad professor Desanka Kostic. 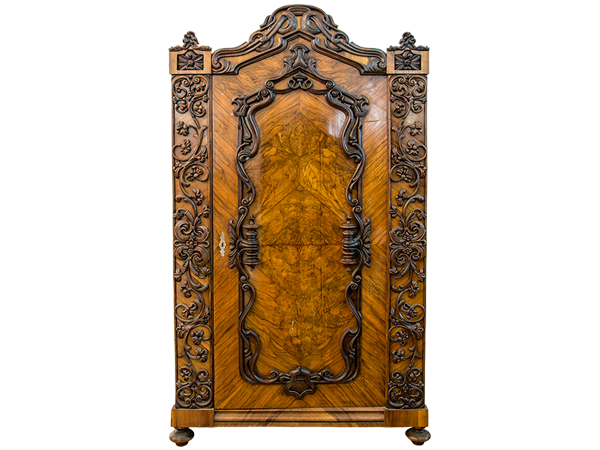 A pair of Single wing wardrobes has the highlighted eclectic elements that are specifically expressed in the applicable carving. Spirals and stylized vines with flowers and leaves are set on all visible surfaces, and in their preparation, machine processing has also been used. Cabinets are made in Futog during the last third of the 19th century. 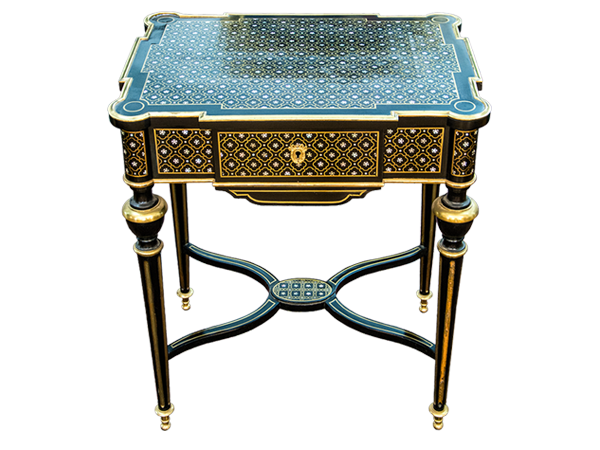 Elegant table sewing tablein Bull (Boulle) style is made of lacquering wood. 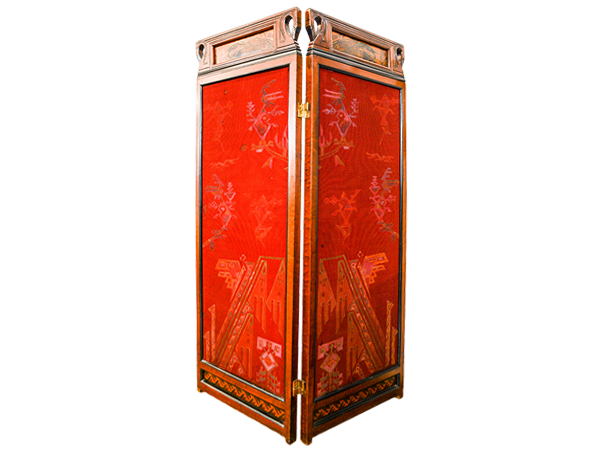 For its decoration the bronze hinges and marquetry have been used , as well as multi-colored nacrous tiles, incrustated in the upper panel and sides. This piece is purchased in the late 19th century in Italy for adulthood of Danica Savic, daughter of Mita Savic, Novi Sad innkeeper and trader, former owner of the restaurant "Bela ladja." 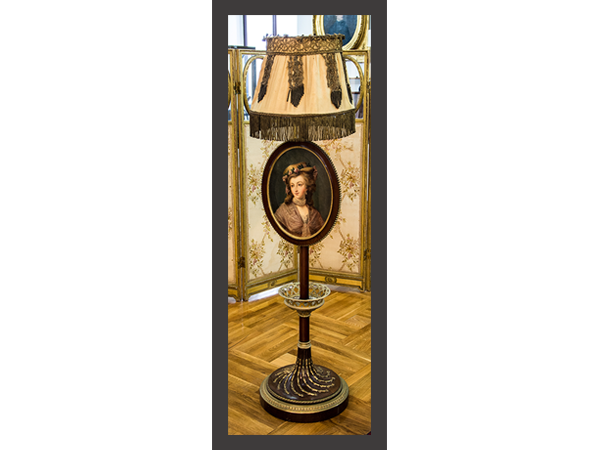 A standing lamp with a sirm and painted screen was developed in France in the late 19th century. The lampshade is made of silk and gold lace, screen painted with oil paint, and bonds designed by chasing bronze on the basis of mahogany wood. Although it has been adapted for the use of electricity, the form and materials of which the lamp is designed, indicate commitment to the wealthy middle class aristocratic forms of the 18th century. Precious creation highlights the Japanese piece which got to the City Museum of of Novi Sad within legacy of Dr. Branko Ilic. Until the early 20th century, the screens were a mandatory part of every bedrooms from wealthier homes, according to the ethics of the former civil environment . This piece is an example of luxury export goods to Europe, and in its preparation carved wood and lacquer, nacre and ivory were used. Single dresser comes from the house of Dimitrije Savic, Novi Sad merchant and innkeeper. 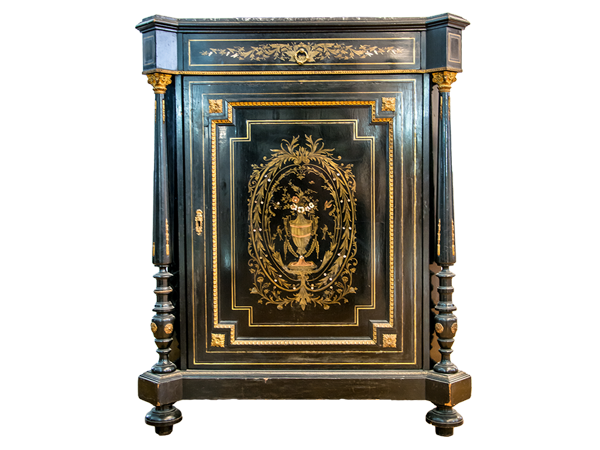 It is a French work of the seventh decade of the 19th century, in the style of Boulle or so. Napoleon III. 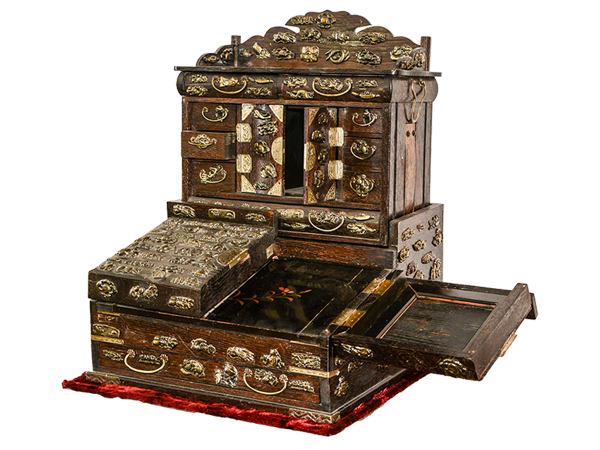 Dresser is shackled with bronze applications and inlaid nacre, with the upper plate made of dark marble, which was unusual for this kind of furniture. It was purchased in in Budapest in the late 19th century and probably ship delivered in Novi Sad.